Biplane Air Combat and Maverick meet head to head for an amazing biplane ride. This is no regular airplane ride folks and Maverick proves it! Stand by with more from the Maverick character this year. He is hilarious! Have you ever just had one of those mornings that you will always remember as special? Our passenger Mike and I had just left in the biplane and went out for a Beach and Bay tour. The day was just that normal San Diego day, clear skies, smooth air and beautiful colors. We took off from Montgomery Field, which is only about 5-7 minutes from Downtown San Diego by uber, and enjoyed the sky and the views. San Diego has more to do with surfing history than either Huntington Beach or Malibu. Avid surfer John Wade, a Hawaiian north shore resident and Airline pilot tells an exciting story of the birth of California surfing in California. 5 Tips and Gotcha's that we can help you with before hand. Cheap isn't always good when it comes to aviation. The purpose of this article is to identify common mistakes made and give pointers to picking the aerial tour that is right for you. Most aviators I know were inspired by that airplane ride long ago. The Aerial Tour IS a passionate experience. Your heart rate jumps up a notch and your senses tingle. This awareness creates a fabulous moment that enhances your senses and imprints a long lasting impression on your life. We listen to people every day when they call ask about the difference between Airplane and Helicopter Tours. We wrote this article to bring up some great points to the person making these decisions. 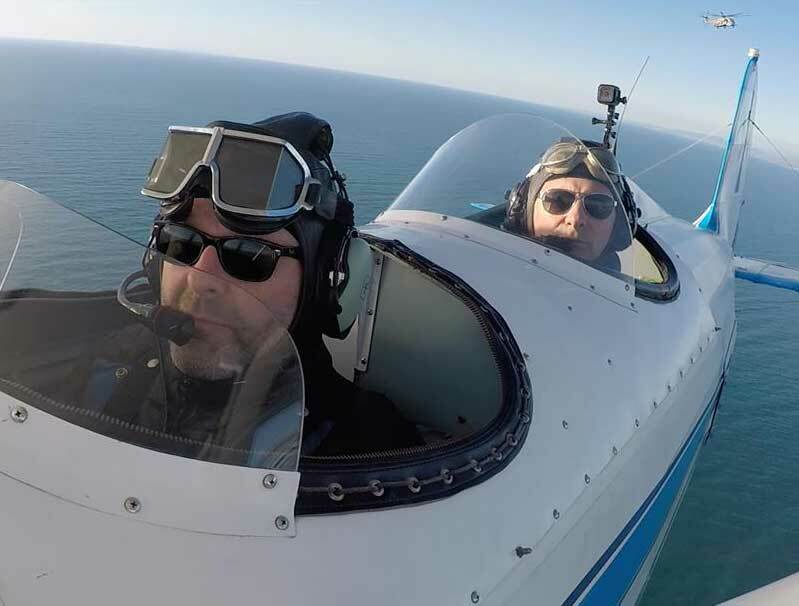 Every one wants to get up in the air for the birds eye view, but we just wanted to illustrate why we believe Airplanes are more fun and more economical for Aerial Tours.